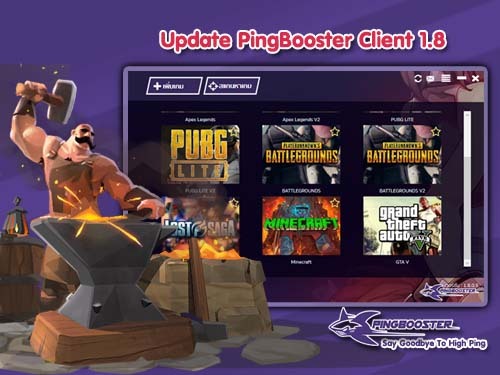 For the safest, fastest way to play Black Desert, get PingBooster now. If you selected Steam, Korea or Japan Server you can click "Done" without any actions because we have an auto setting for them. But another server you have to add "Launcher" in Black Desert installed folder for set Black Desert launcher to start your game. Finally Black Desert will add to your Home Screen And you can enjoy your game now!! In Black Desert window you can select the server which you want to connect to play Black Desert than clicking "Start Game" and... Rock!! Black Desert that is growing in popularity, but hackers want to take your account. You also might run into governments and organizations that want to block you. It will encrypt your connection and reroute your traffic through a server wherever you wish, bypassing restrictions. Anyone hoping to steal your Black Desert account won’t be able to.